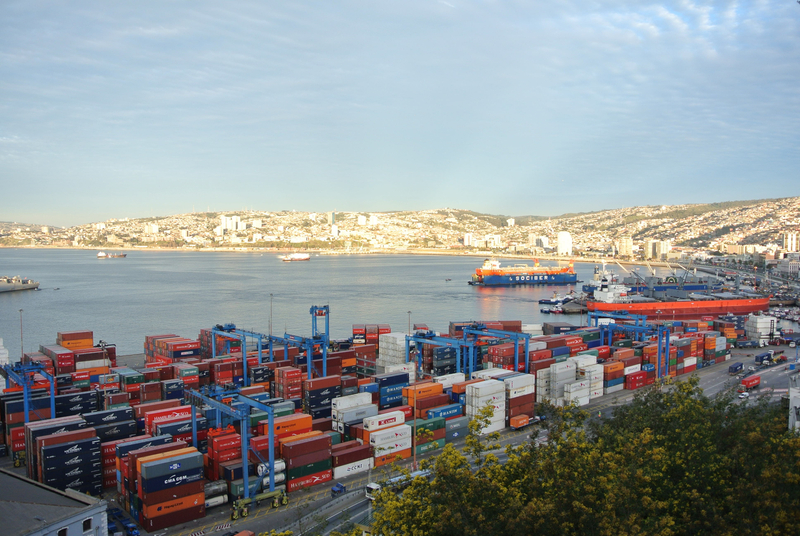 For 96 years the port of Valparaiso, Chile was one of the most important ports in the world. In 1818 Chile claimed its independence from Spain. The town quickly developed into a booming city; a deep, protected harbor flanked by beautiful hills which beckon to be covered in the stylistic and spatial architectural chaos of a frothy 19th century port town attracting immigrants from all over Europe bringing with them their seeds and their songs. During the California Gold Rush the city was a primary logistics center for shipping timber, wheat, and other raw goods to San Francisco and it was an important stop between European and destinations around the Pacific. In 1914 the Panama Canal opened and the commercial shipping industry of the city entered a precipitous decline. Rather than a long and arduous journey around the southern cone of America and through the contested Straits of Magellan ships could simply cue up and pass through the Culebra Cut. Valparaiso was relegated to the role of exporting great coils of copper and iron pulled from the Andes by Chile's mines and minerals industries. In recent years the shipping industry here has rebounded with the introduction of the post-Panamax shipping vessels. The deep natural harbor of Valparaiso was one of those that could easily handle the super large vessels that are currently forcing a rescaling of the Panamanian Isthmus landscape and ports throughout the world. In this way the city and port of Valparaiso seems to be a sort of anti-Panama Canal, the reciprocal and alternative reality to the great engineering project of the 20th century. And this is good, because at times the dimensions of the Canal do not suffice, or exist only as a feeble portage, or the fever dream of Scottish would-be imperialists, and alternative realities are needed.